CHARGE EVERYTHING - Conveniently charge smartphones, tablets, headphones, speakers, music players, external battery chargers, and many more. SAFE GUARANTEE - Anti-fire material with premium quality. Sophisticated circuit design with over-heated, over-current, over-charging protection. SPACE SAVER AND PORTABLE DEAIGN - Compact Design with Foldable Plug. 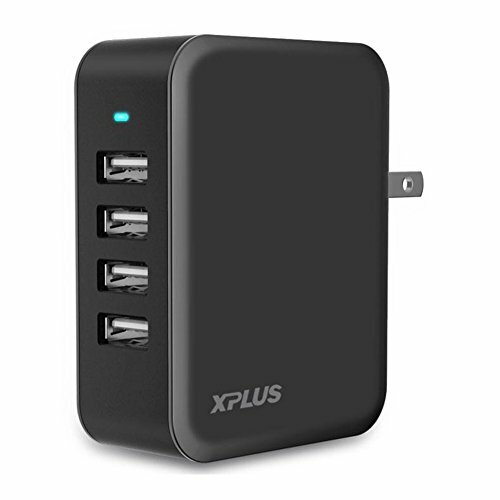 Never worry about too many chargers taking up space on your desk or in your luggage again. SMART IC TECHNOLOGY - Automatic recognize your device and match the best charging current. Maximizes charging efficiency and more secure.UL Certified. Fasssstttt Charge at its finest!! !